The Deloitte Technology Fast 50™ program recognizes the world-class achievements and tremendous evolution of the Canadian technology sector by ranking the 50 fastest growing Canadian technology companies. Each year, Deloitte receives hundreds of nominations for the award. The Deloitte Technology Fast 500™ is an annual ranking of the 500 fastest-growing technology, media, and telecommunications companies in the United States and Canada also having demonstrated remarkable innovation and a profound impact on business. 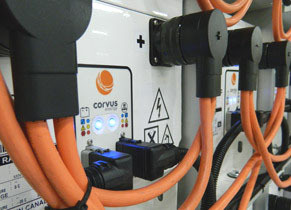 Corvus Energy is proud to be recognized by such prestigious awards programs and looks forward to continued advanced battery technology innovation and international market success.